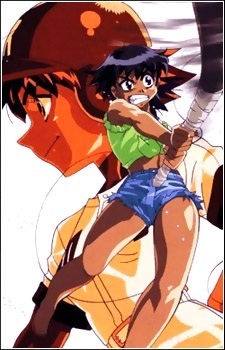 The only members of the team with actual baseball experience, Koharu played for a boys' team before being found out as a girl. She grew up on the sea as a daughter of a fisherman, and has developed an extremely powerful swing, dubbed `Wave Motion Swing` from her years of fishing. Her batting is so strong that she occasionally hits out of the park home runs. She is originally from Tosa, a small city on the Shikoku island.